The bandsaw is a woodworking favorite and the workhorse of any wood shop. Craftsmen and women turn to this practical tool for a wide array of tasks -- cutting curves ripping stock making a variety of useful joints using guides and templates and transforming thick boards into veneer. 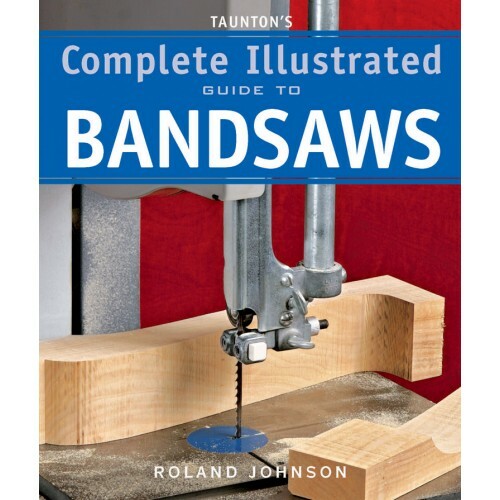 Now woodworkers can learn to make the most of their bandsaw in this valuable addition to the acclaimed Complete Illustrated Guide library. The format is highly visual covering all there is to know about working with a bandsaw -- from basic uses to some of the most advanced techniques -- including shaping operations and sophisticated joinery. Safety and bandsaw maintenance complete this essential guide.